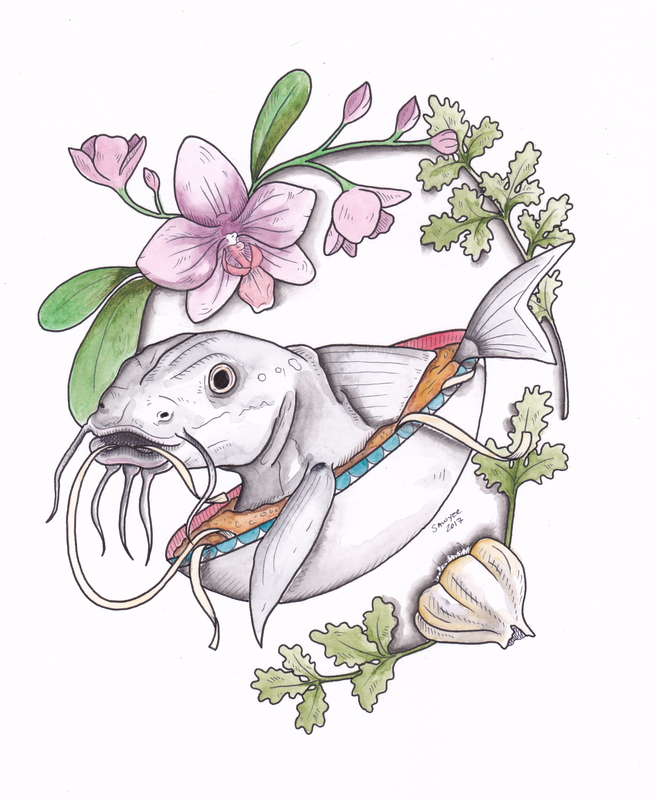 Catfish, Pho and Flowers (Wat Mongkolratanaram Thai Temple) Original watercolor and ink on bristol board. Painting size is 8"x10". 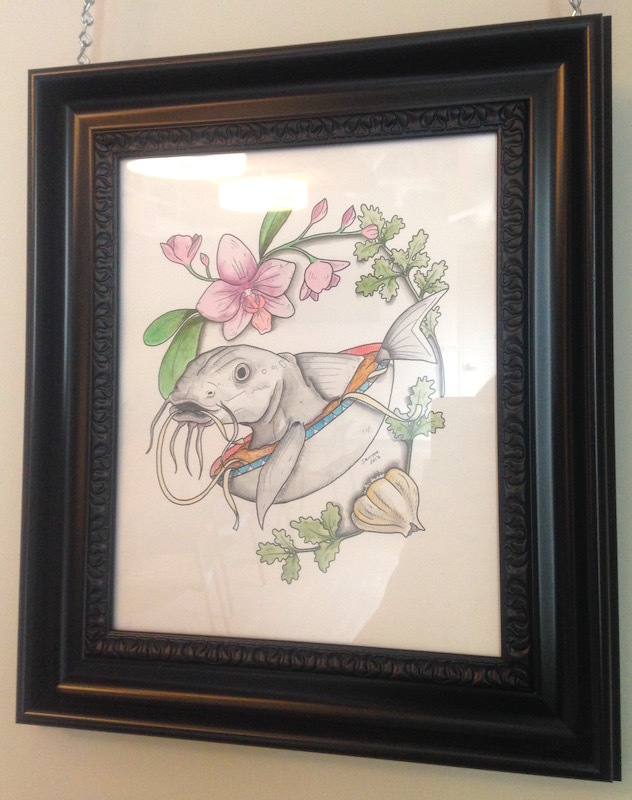 Framed size is approximately 10"x12".